Home » Blog » Women, Take Back Your Rights in Childbirth!! Women’s rights in childbirth are very limited. 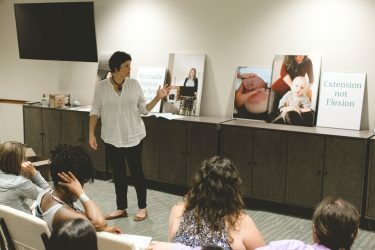 Providers and hospitals are unwilling to allow women to choose things like monitoring the baby intermittently, laboring out of the bed, Vaginal Birth After Cesarean Section (VBAC), waterbirth or homebirth. Much of the concern is the liability associated with possible poor outcomes. It does happen that a woman will insist on a certain plan like waiting to induce labor after the water breaks but then turn around and sue the whole hospital staff for the baby having an infection. I chose to deliver my 4th child at home in the year 2000. It was my 3rd VBAC. It was my choice and I understood that I didn’t have a doctor or an operating room in my house. I knew something untoward or life-threatening could happen but to this day, I am still thrilled that I had the ability to make that choice. I loved my homebirth and I loved having a choice. I feel so sad for women who have had successful first VBAC’s that are no longer able to have a homebirth for a successive birth no matter what they want or how easily they give birth. As women, we must demand our right to CHOOSE but then take RESPONSIBILITY for the choice we make. By not doing so, we have lost so much and will lose more. I am not saying every lawsuit is unwarranted but it is a fact that women almost always sue when their VBAC has a bad outcome but almost never sue when they are taken to the operating room against their will. If you were a medical professional, would you encourage your clients to have a VBAC? I have to admit, lawsuits are in the back of my mind too when practicing midwifery. I have a huge faith in pregnancy and birth but it is true that we now live in a culture where people believe if everything is done correctly, nothing will go wrong. So if a birth does go wrong, it is not an act of God, it is an obstetrician’s or a nurse’s fault. Step into my life and consider how much that philosophy would affect how you practiced medicine. Cover your a** medicine is expensive and really ineffective. It takes away the ability of the practitioner to give advice based on her experience and wisdom and it takes away the patient’s ability to make the best decisions for themselves and their families. A change in liability rules which still allows for payments to families with children with things like cerebral palsy but takes responsibility off the provider for decisions made by the birthing family would help further the cause to allow women CHOICE in birth. Women take back your Birth by Taking RESPONSIBILITY for it!